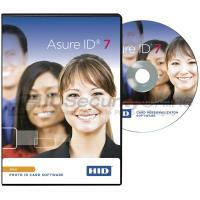 Choosing the right ID Card Software is essential to design and print professional ID Cards. It can also be instrumental in managing cardholder data, connecting to an existing database, or adding encoding capabilities to your cards. 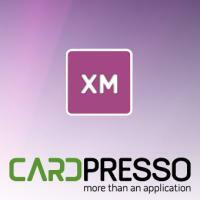 From entry level to fully-featured, we sell and support a large selection of ID Card Software including all the leading brands in the industry such as Asure ID, Exchange IT, Jolly, CardStudio and CardPresso. Each software provider offers different software levels to answer the needs of companies and corporations of all sizes. Our line of ID Software has been designed to simplify your ID Card creation process and ensure professional results. Easy to upgrade, our software will always be in line with your needs and budget. We carry ID Card Software for all printing applications but also for all operating systems including Mac. Affordable and reliable, our line of ID Software will definitely meet all your requirements. WHAT IS ID CARD SOFTWARE? ID card software can be defined as the core component of your ID card program. You will use your ID software to design your cards and print personalized badges. Most programs will allow you to import images, add text and barcodes, and use predefined templates to design your badges. However, if you need advanced functionalities, you will need to make sure that your software supports such options. Entry-level software is perfect for small organizations in need of printing up to a few hundreds cards a year. These items usually come with limited database functionality and a set number of fields per card but work great for low volume applications. Advanced software versions usually include external database connectivity and the possibility to add as many fields to your cards as needed. Designed for batch printing, these programs will allow you to save your cardholders data for easy reprints. Small to medium businesses looking for a flexible solution should definitely consider these products. Finally, fully-featured software is available for corporations with large databases and encoding needs. Ethernet connectivity is also supported to connect on a network. HOW DO I CHOOSE THE RIGHT ID CARD SOFTWARE? WHAT TYPE OF CARDS CAN I DESIGN AND PRINT? 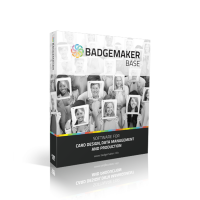 ID card software allows you to create any type of badges on demand.